Opened in 1908, this hotel was once the most fashionable place to stay in London and it still ranks as one of London's top hotels. The 292-refurbished rooms combine Edwardian Elegance with modern comforts. Rooms have individual climate control air conditioners and electrical sockets for American appliances. It is located in the heart of Theatreland and near Covent Garden. 292 bedrooms and suites are exquisitely furnished with authentic Edwardian decor, and spacious en suite bathrooms. Each is well equipped with air conditioning, voice mail, and 24 hour room service. 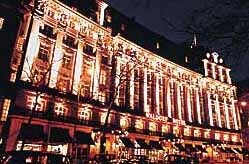 Le Meridien Waldorf London Hotel is an ideal location for both the business and leisure traveller. 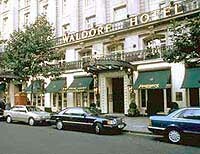 The hotel is located near to Waterloo Bridge, Covent Garden and the Opera House so its truly in a central location. ** Hotel has 120 nonsmoking rooms on 3 floors on request. Exercise Room & Spa Available (nearby).